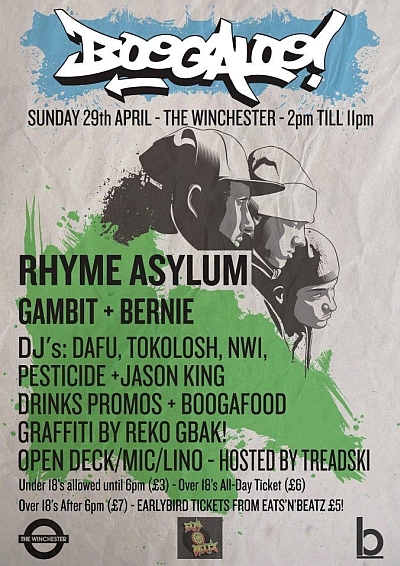 Backyard Boogaloo presents: Rhyme Asylum! Massive shouts to everyone who reached The Four Owls! We reached capacity and were having to turn people away! To avoid dissapointment, grab yourself a ticket! 100 Limited Earlybirds will be avaiable early part of next week, for only £5! Stay tuned for further details!